Location: Belvelly, County Cork, Ireland. 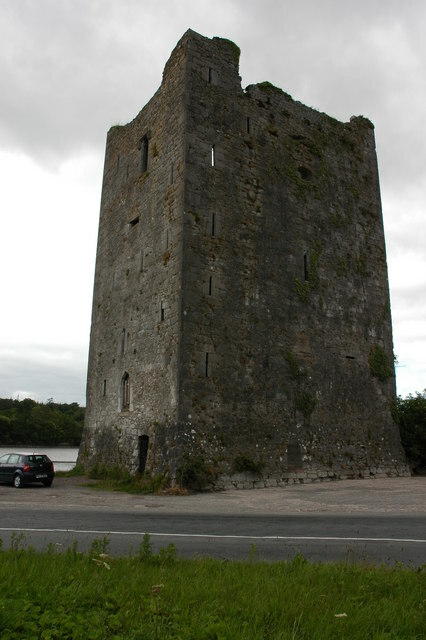 Notes: Belvelly Castle is a 14th or 15th century tower house in County Cork. It is situated next to the small village of Belvelly, opposite and defending the only road bridge connecting Fota Island to Great Island (on which the town of Cobh is situated). The castle was originally built by and for the Anglo-Norman Hodnett family, but was taken by the De la Roch (Roche) and De Barra (Barry) families in the 14th-century. The Hodnetts later however leased-back their lands. Some sources suggest that Walter Raleigh occupied the castle in the 16th-century, before being reoccupied by the De Barra family, and used by Roger Boyle, 1st Earl of Orrery to garrison troops during the Irish Confederate Wars in the mid-17th century. By the 19th century the castle had fallen into ruin, but was occupied and somewhat modified by the Irish Army during the Emergency (1939-1945).